There are about 155 species of lizards in 8 different families that can be found in North America. That’s a lot of lizards. Turns out most people don’t like ’em very much. Any of ’em. Especially if they get in the house. Maybe it’s their beady little eyes. Maybe it’s because they remind most of us too much of snakes. Maybe it’s just their unpredictability. They move too fast. They start and stop without warning, and most of them have this perpetual look on their faces of wanting to eat you, your children, and everything you love. So, obviously, folks want to get rid of lizards. Luckily, if you do happen to have one of these scaly little wonders lurking around your house, you’re probably not in any real danger. I know that doesn’t make you feel any better. Remember that old saying; you’re more afraid of it than it is of you? Yeah. Doesn’t really apply with a lizard. I have seen the fear in your eyes. Even though most people are well aware of how ridiculously beneficial lizards are to our homes, yards, and environment (they eat a staggering amount of pests like insects and spiders), it just doesn’t matter. The fear and disgust for these animals has a tendency to far outweigh any benefits we could derive from having lizards in the house. They just aren’t wanted. At least not anywhere people have to see or think about them. And so…this article. The next section is an overview on how to avoid getting lizards in the house to begin with. For some commercial lizard control, see the bottom. Hey . . . what’s that behind you? No matter what type of lizard you have in your home, the methods for avoiding them and dispatching them are the same. Below are just a few examples of house lizards. 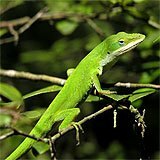 Green anoles are harmless lizards that grow from 5 to 8 inches long. They can change their color from shades of green to brown to gray. For this reason they are often called American Chameleons. They are not chameleons. Males have a red dewlap that can protrude from below their necks. House geckos are normally 4 to 5 inches long including the tail. They range in color from a pale, translucent whitish pinkish color to shades of grays and browns with dark bands along the body and rings around the tail. House geckos have large eyes, vertical pupils, and lack eyelids. Collared lizards (up to 14 inches including the tail) are not found in homes as often as the others but are a little scarier when they are. They have large heads, barrel-shaped bodies, and a distinctive black ring around the neck, yellow bands around body, yellow feet, and yellow spots. Females are duller. Get rid of the food source. If you’ve done any research at all on getting rid of lizards, you have seen this suggestion. Fact is there’s just nothing more effective that you can do. No food for the lizard, no lizard. The problem is there’s a billion and a half different pests out there that lizards eat. As a first step, spray the foundation of your home with a wide spectrum pesticide. Look for products like Talstar, Demon WP (water soluble packets sold at Amazon), Suspend SC, or Cynoff. 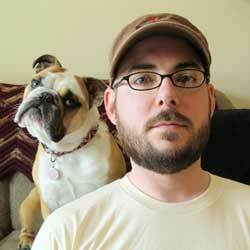 If you want more in-depth advice for a particular critter, check our Pest Control section. Keep your place clean. A dirty/messy house invites all sorts of pests by providing both food and hiding places for them. If you are providing these things for insects, you are providing food for lizards. Dirty dishes, garbage, unswept floors, piles of laundry, piles of magazines, newspapers, boxes, etc. all need to get taken care of. Also, turn the heat down as far as you can stand it. Lizards like warmth. Keep furniture at least six inches from the wall, and don’t hang lots of pictures and mirrors. Lizards like to hang out on and behind them. Fix any leaky faucets or pipes. Lizards and their food need water. Make it difficult for lizards to get in. 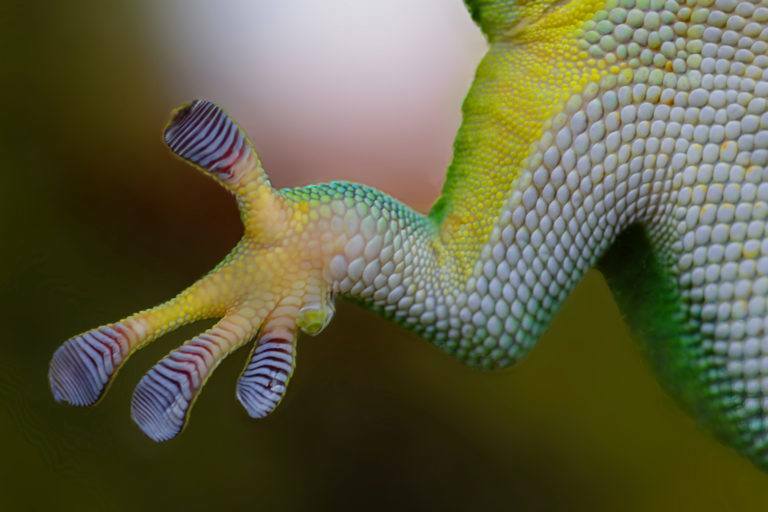 Many lizards, like geckos and anoles, can squish their scaly little bodies pretty small. That said, you need to make sure that there are no entry points to your home. Walk the outside perimeter of your house and look for any cracks or holes. Look around all wiring and plumbing, and check for spaces that a lizard (or his food) might be able to squeeze through and fill ’em with some caulk. Look around windows for cracks. Fix holes in screens. Make sure any venting is well screened. Finally, if you can stand the smell, place a handful of mothballs in the windows. Lizards apparently don’t like them much. If you have any standing water outside, get rid of it. This includes baths, ponds, streams, and old tires. If there’s water, there’s going to be a healthy breeding population of insects, which means there’s going to be lizards. Water your yard sparingly, if at all. Lizards like having plants to hide in. Trim back any bushes that are near the house, especially those by doors and windows. Avoid planting succulents. If lizards can’t find water, many of them will chew on succulents to get it. Put some lizard/animal netting over shrubs, trees, and plants. Don’t use outdoor lighting at night. It attracts bugs for lizards to eat. If you must use lighting, use yellow lights or sodium vapor lights. The fewer the bugs, the fewer the lizards. There is unfortunately, in a commercial pesticide sense, very little available in the way of pest control for lizards. As I said before, the best way to get rid of lizards is simply to make your home and yard inhospitable to them. Luckily, though, you are not completely without help. 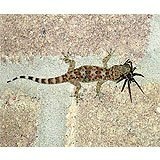 There are a few products on the market that are designed to help you get rid of lizards. By far the most effective is lizard traps. These are available from a number of online vendors and are basically a big sticky trap that is usually coated not only with glue, but also with cockroach pheromones. The smell of the roach pheromones trick the lizard into thinking there’s a big tasty meal for him. The lizard then tries to find it and gets stuck in the glue. I’m somewhat morally opposed to this idea. Seems a pretty terrible way to die. Most of us don’t want lizards dead; we just don’t want them in the house. I’m not judgin’ though. If you want ’em dead, do it up. Otherwise, there are electronic lizard repellents available, too. Just plug them in, and let ’em go. The last product that I keep running across is something called Laxman Rekha. This is a chalk-like product produced in India that is used to draw barrier lines in front of doors and windows. The reviews for Laxman Rekha are all over the place. Some folks seem to love it. Others, not so much. I think, if you can find it, it would be well worth a shot. Look for it at local Indian markets. A couple of these suggestions come with a great deal of ambiguity. Some people swear up and down that they work great. Other people just swear at the people who told them to try it. I think they are worth a shot, social pressure notwithstanding. Lots of people swear by egg shells. If you place cracked eggshells around the house, in corners, and in windows, the occurrence of lizards should decrease noticeably. 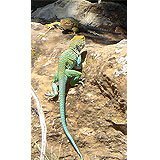 Lizards associate the broken shells with larger predators such as birds and larger reptiles. This works on the same principal as the egg shell idea. Lizards associate large feathers with death. Birds love a tasty little lizard snack. So decorate with some peacock feathers. Put them in a vase, hang them on the wall, bunch them together, and place them in the corners. Luckily, you don’t even have to go pluck ’em yourself, Amazon sells peacock feathers in a pack of 100. Get a cute, cuddly, blood-thirsty predator. Cats are amazing predators that would be more than happy to kill lizards for you. Some folks are morally opposed to this idea because of cats’ tendency to play with their prey before killing it. And that’s all I have to say about that.